NAC has been working with non-profit organizations since early 2005 to develop a simple, cost effective solution to collecting electronic donations. Electronic Fund Transfer or EFT has been helping companies collect payments for decades while most non-profit organizations have relied on more traditional methods for receiving donations. By researching the needs of various organizations over the past five years, NAC created a program that will easily integrate with your current donation process to expand your donor base and increase donations. It is not only our mission, but also our passion to assist non-profit organizations in collecting donations. As a company that has been providing EFT services for 25 years, NAC has the experience and resources to provide the most cost effective and simplified program necessary to meet the demands of non-profit organizations nationwide. 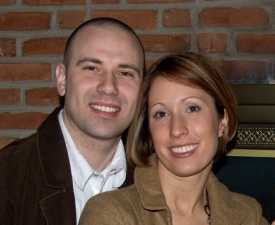 -Aaron Hoke, President of NAC, with his wife Debra.